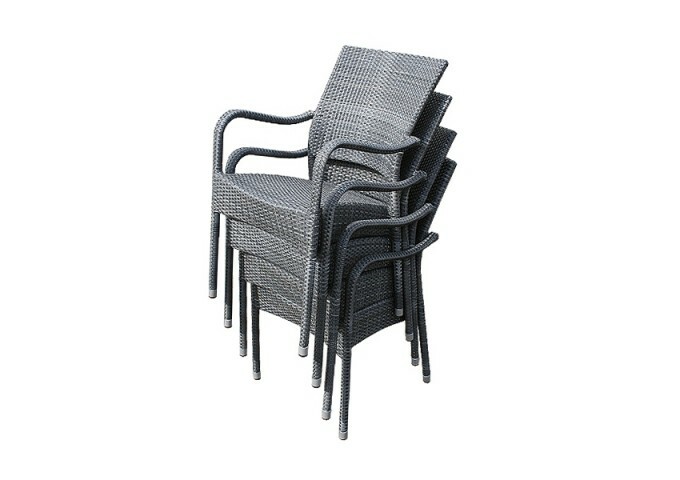 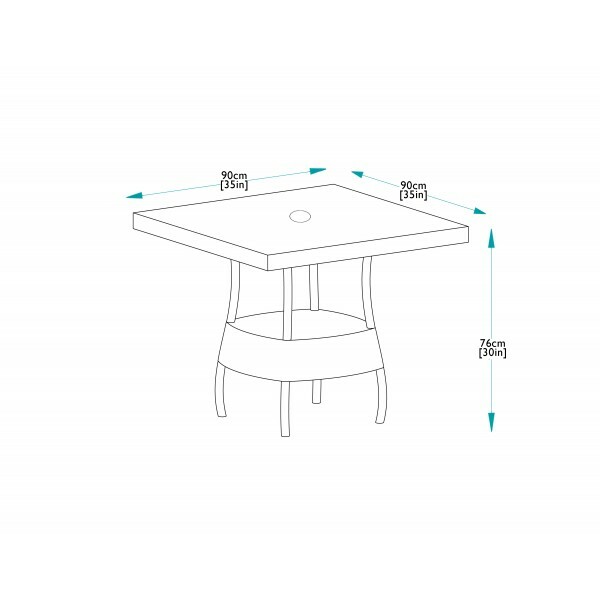 This set is made up of a 90cm x 90cm square table and 4 Windsor stackable armchairs. 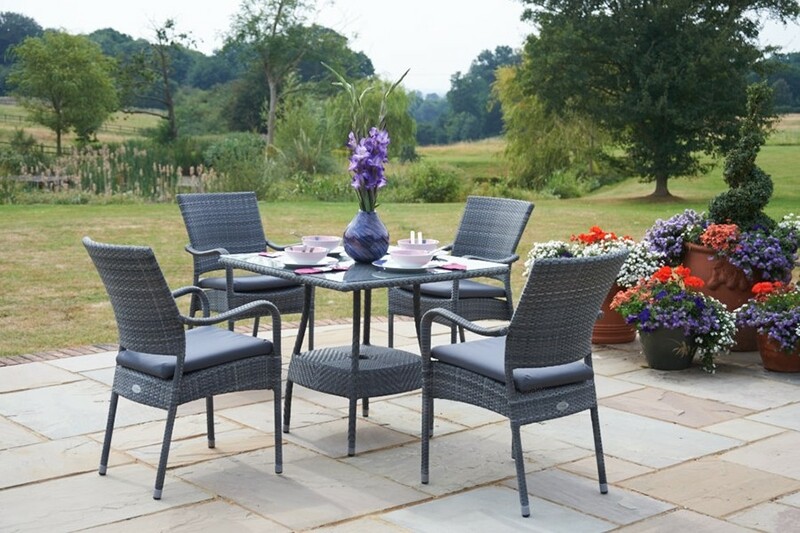 The furniture in this set is suited to hotel and restaurant use as it is made with the finest materials and to a really high standard. 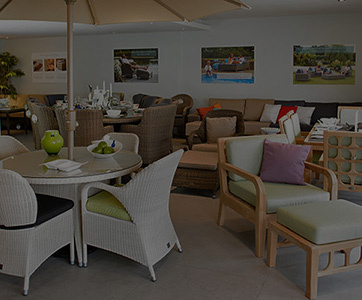 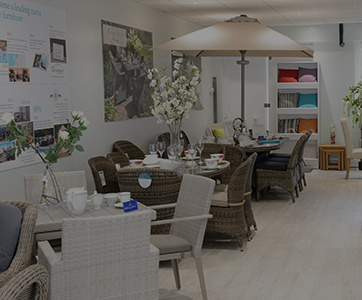 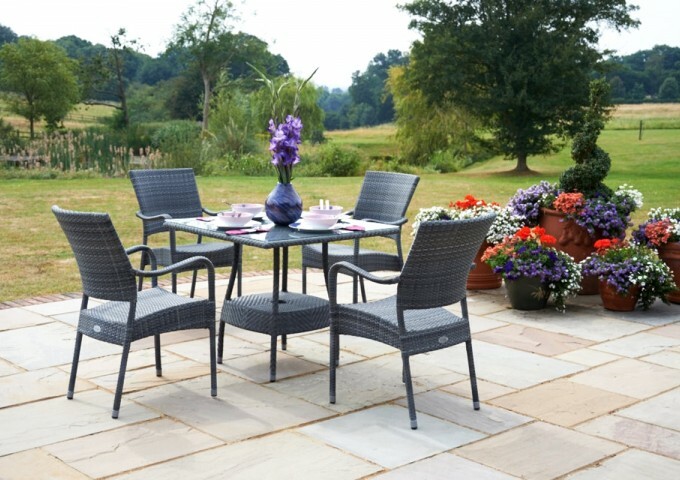 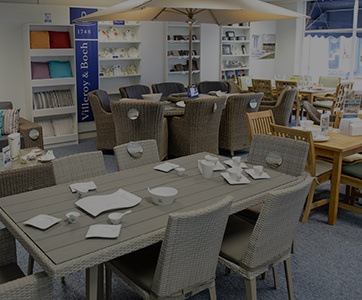 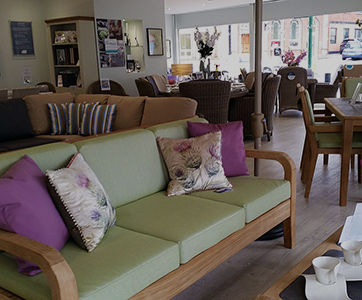 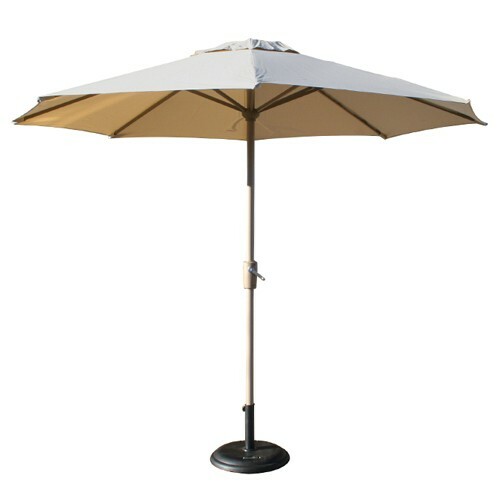 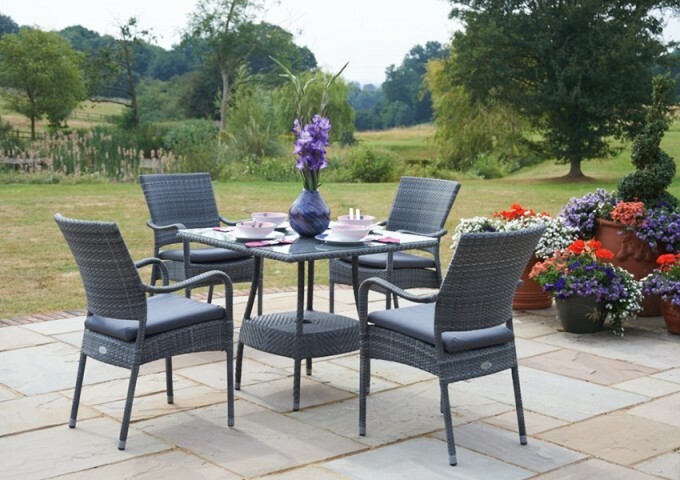 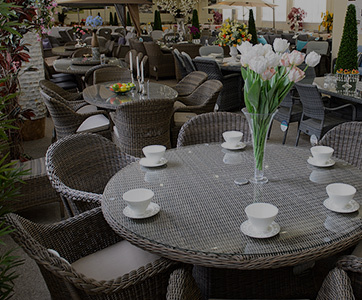 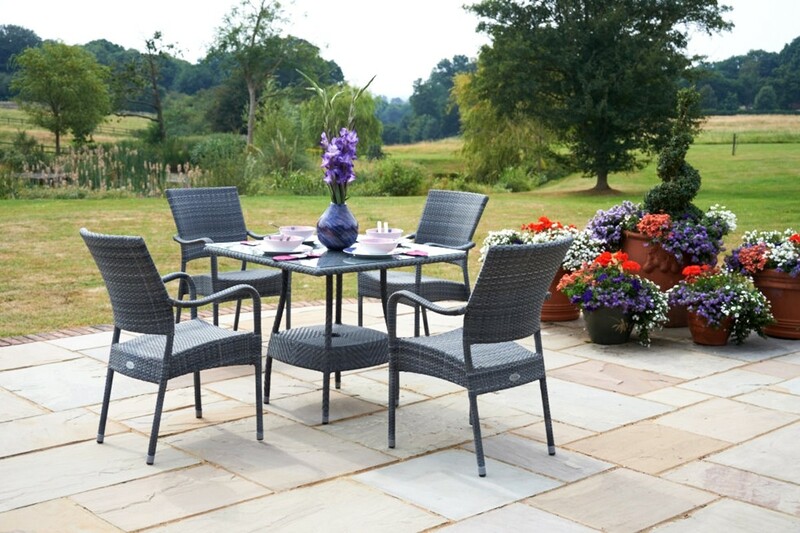 All All Seasons furniture is manufactured with great style and quality in mind, and is the ideal way to dine or relax in the garden. 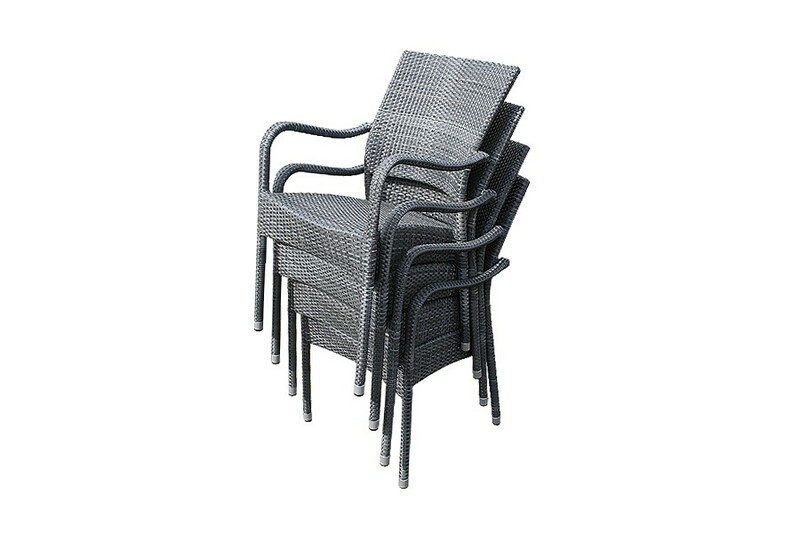 In this set, the Windsor Stacking armchair offers great comfort without the need for a cushion, and can be stored away in a stack with ease. 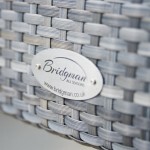 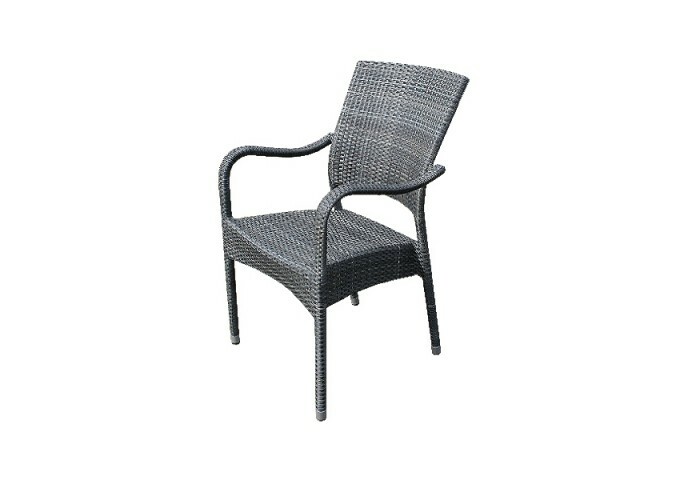 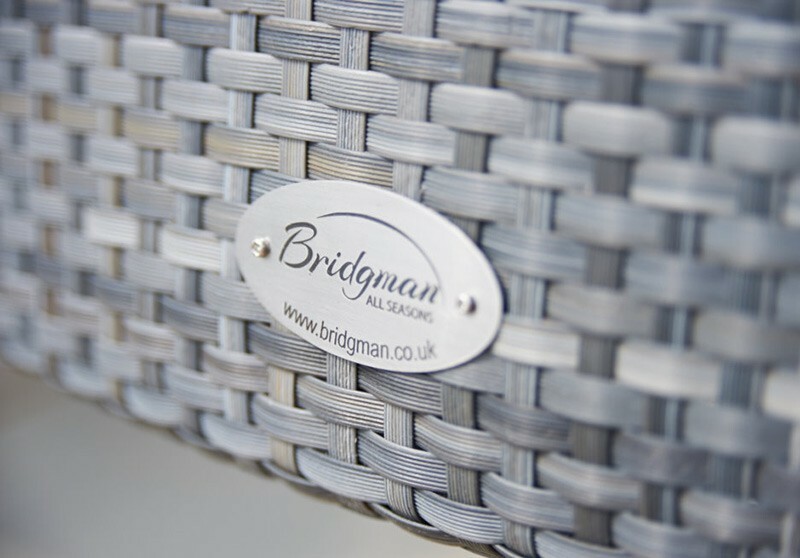 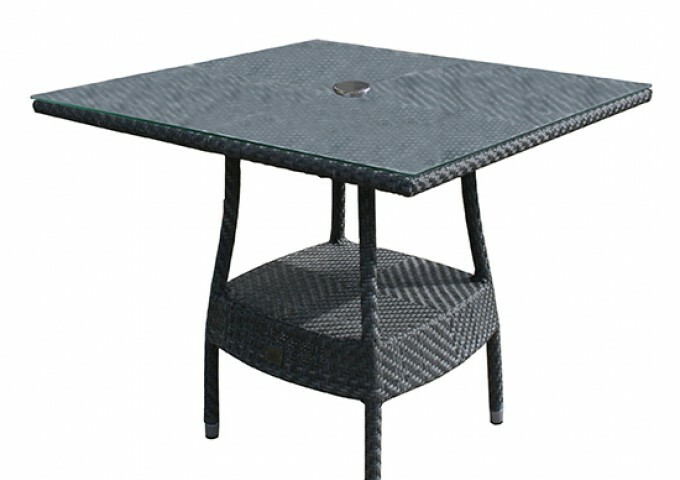 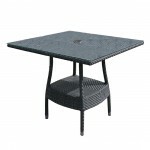 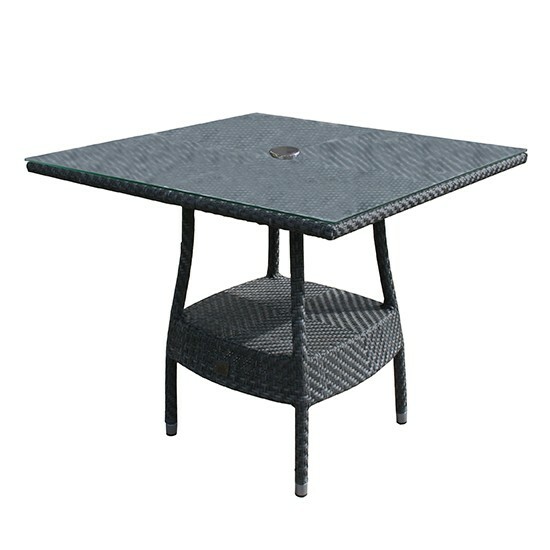 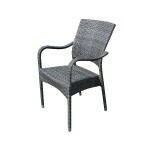 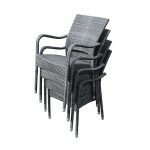 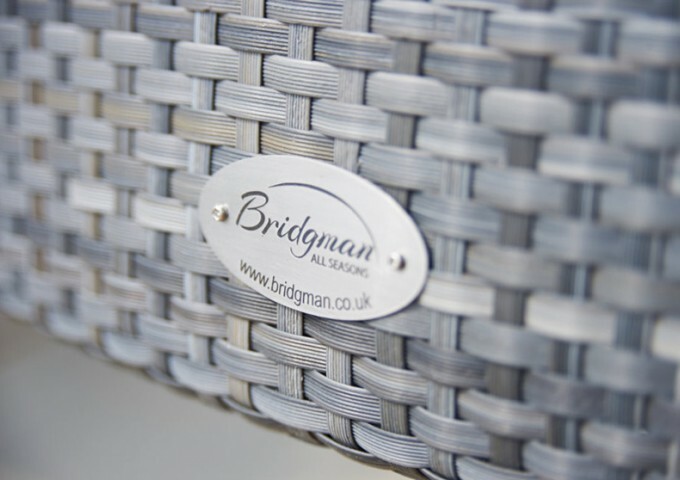 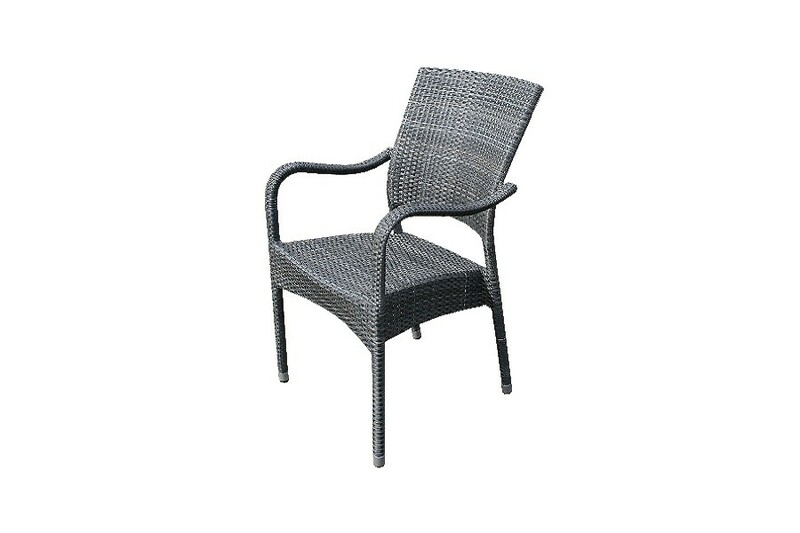 This furniture is made from the highest quality synthetic Rattan weave, which is hand woven around an aluminium frame. 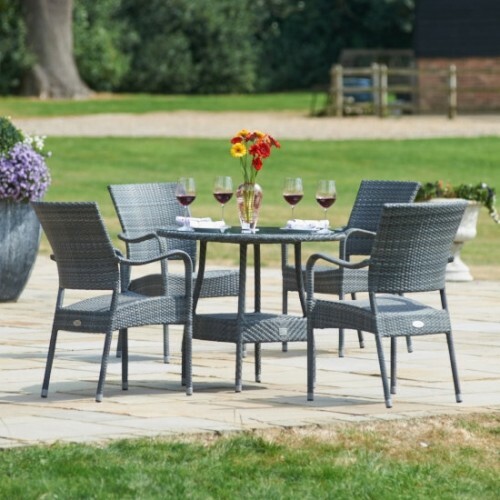 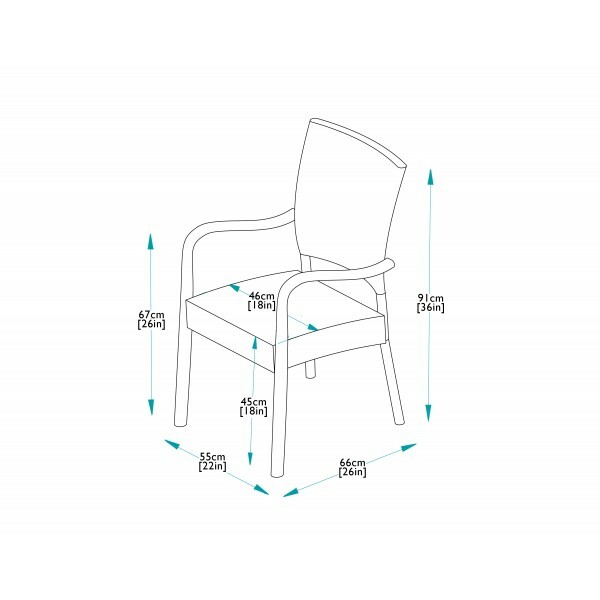 The furniture has been tested to withstand extreme temperatures ranging from -70 to +80, allowing it to be left outside all year round.